Image: Marvel. Art by Mike Henderson and Lee Loughridge. Deadpool and Old Man Logan are some of Marvel’s most common team-up characters lately—wherever they can be inserted, they are. Now, they’re being inserted together in a miniseries of their own, pitting two of mutantkind’s most popular (and least killable) characters against each other. 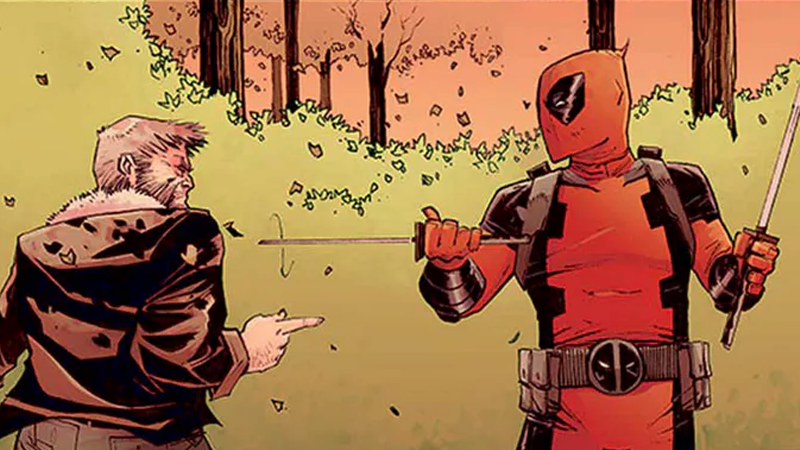 The obviously titled Deadpool vs. Old Man Logan will see Wade and Logan compete against each other to help a young mutant out, their ideas of the “right thing” to do for the youngster being radically different. Naturally, this conflict of ideas leads to more than a few snikts, shanks, and explosions that will see the regenerating duo go on a bloody adventure together. The series will be written by Declan Shalvey, with art by Mike Henderson and Lee Loughridge. It’s an obvious move for Marvel, considering the fact that Deadpool is, well, Deadpool and thus immensely popular no matter how many zillions of books he’s in at the moment, and interest in Logan—another repeat offender in the world of team up books—is high in the wake of this year’s Logan movie. Pitting the two surly, angry mutants against each other for japes and comical fights is pretty much a win-win scenario for everyone that isn’t an immediate bystander to the inevitable violence, really. Deadpool vs. Old Man Logan is set to begin its five-issue run October 18.